Integral Coach Factory (ICF) unveiled Train 18, the engine-less train that will soon replace the Shatabdi Express, on Monday. A 16-coach prototype of the high-speed train was ceremonially flagged off by Railway Board Chairman Ashwani Lohani in Chennai. The train moved a few yards inside the factory to mark its ceremonial run. 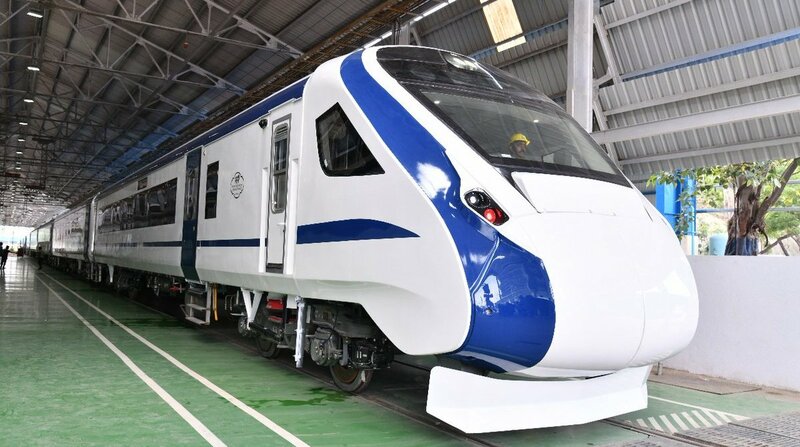 Touted by railway officials as a game-changer for the Indian Railways, the blue-and-white indigenously developed high-tech, energy-efficient train is said to be faster than Shatabdi. 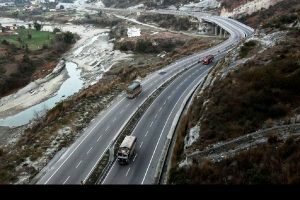 According to reports, the train has been developed at nearly half the cost than is normally incurred for such development. While the prototype will cost nearly Rs 100 crores, subsequent production of Train 18s will bring down the cost. The ICF would roll out six such trainsets. With a speed of up to 160 kmph, the train will cut travel time by 15 per cent between cities as compared to Shatabdi Express. The train was built in a record 18 months under the Make in India initiative. Train 18 will be fitted with CCTV cameras in every coach and on both sides of the driving cab, which will enable the driver to monitor passenger movement. Emergency talk-back units are also fitted in all coaches for safe and secure travel. 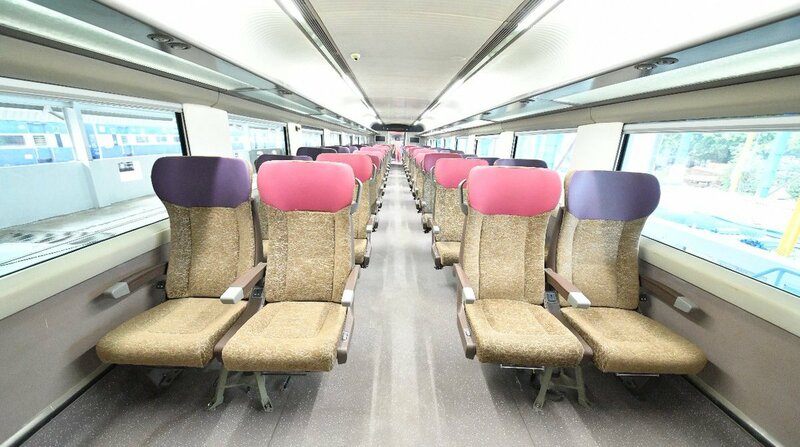 Each Train 18 will have two executive compartments of 52 seats each. The rest of the coaches will have 78 seats each bringing the total seating capacity to 1,128. Seats in all the coaches are designed for luxurious travel, but those of the executive class can be rotated to match the direction of the train. Fitted with diffused lighting, on-board infotainment system with Wi-Fi, vacuum toilets, sliding doors and a GPS-based passenger information system, the Train 18 appears like a long-distance Metro train. The train sports advanced regenerative braking system which saves power. The coach doors will open only when the train touches zero kmph and the train will start only when all the coach doors are properly closed.